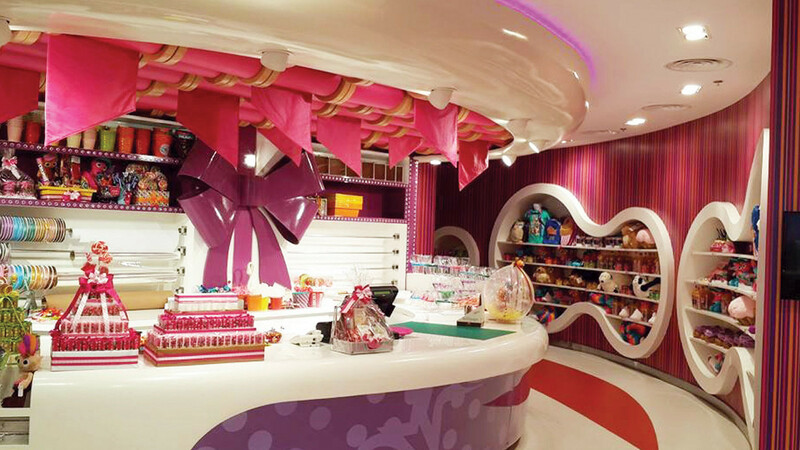 Redesign were asked to design one of the largest candy stores in the world. 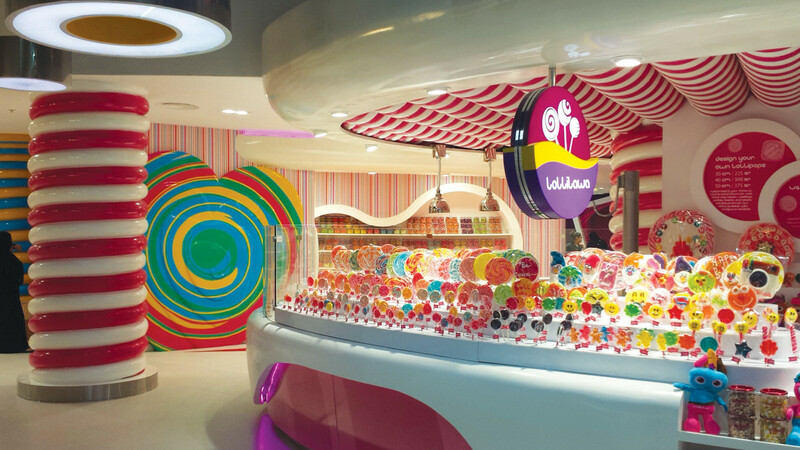 The two-level, 1800m2 store of candy opened in 2014. 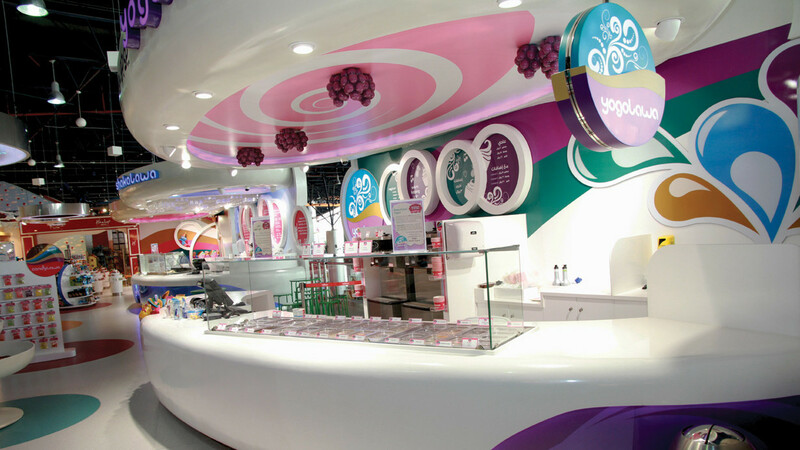 The store is divided into a number sections, allowing customers to escape through the wonks walk, create their own art in the creation art lounge, design-your-own lollipops and candy or relax in the high end café. 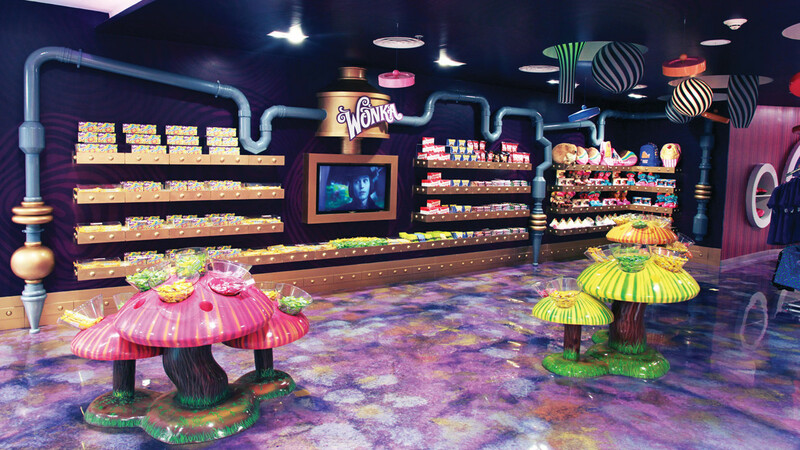 Everyone is catered for in the store. 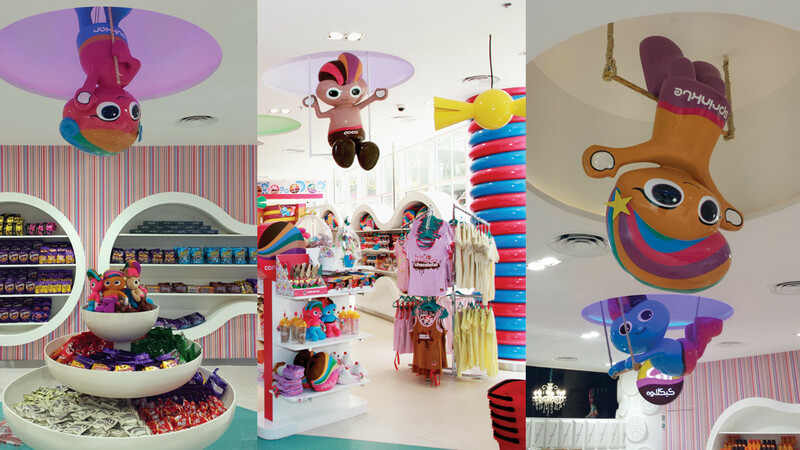 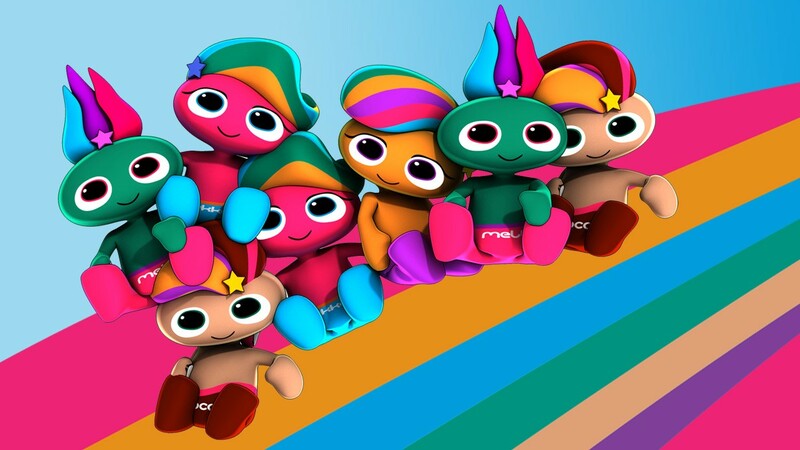 The graphics play an enormous part of the overall interior design with the development of mascots, Sprinkle, Sukkar, Coco and Mello who help to add to the fun, family theme and were taken throughout the design and merchandising. 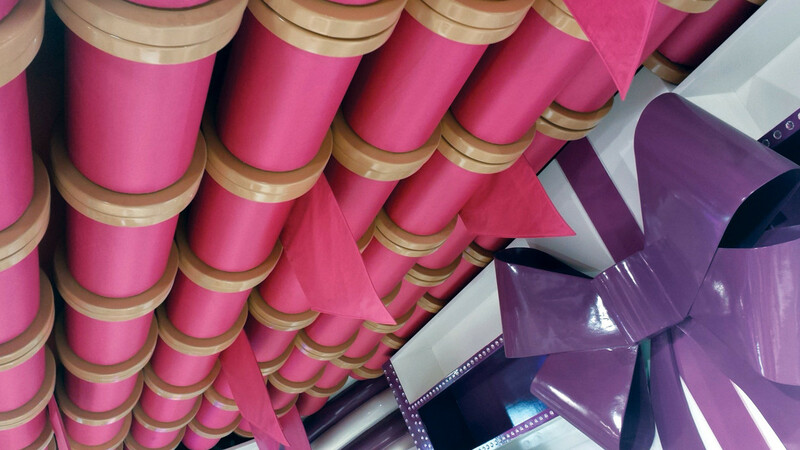 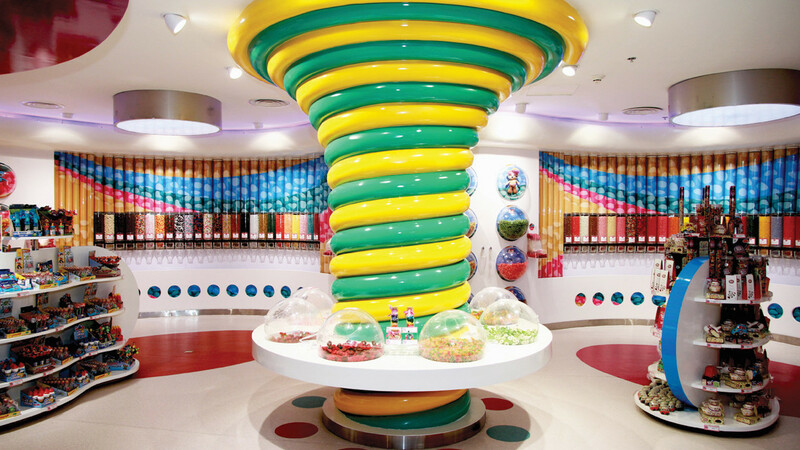 Oversized models are seen throughout the store consisting of reels of ribbon as a ceiling features, chocolate blocks to giant mobile sweets to the bespoke wall papers catering to the various food areas. 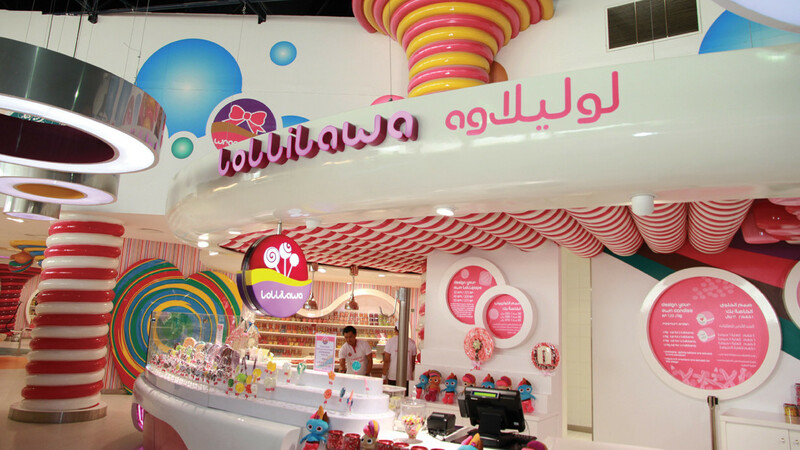 Fox News rated Candylawa as one of the top 5 candy stores in the world.